HBC trader Alexander Caulfield Anderson knew many of today’s historical figures, but not all of them were men to be proud of. One of those was clerk John McIntosh, who crossed the country in James Douglas’s 1835 York Factory Express to Jasper’s House. 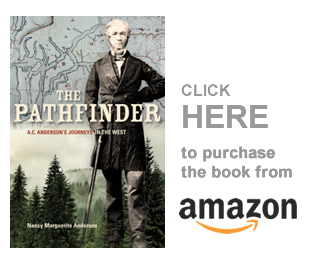 There he met Anderson, who was to lead him to Fort St. James, headquarters of the New Caledonia district, via Tete Jaune’s Cache and the upper Fraser River. According to his biography at Hudson’s Bay Company [HBC] Archives, John was born about 1803. His father, Donald McIntosh, worked for the North West Company and, in 1821, was made Chief Trader in the HBC. As was usual in those times, John’s mother was Native — a Chippewa (Saulteaux). John himself began his career in 1821 at Fort William [Thunder Bay, Ontario]. Between 1827 and 1835 he was clerk-in-charge at various posts in the Lake Superior District, and at Lac La Pluie (Rainy Lake). By the time he met twenty-one-year-old apprentice-clerk Alexander Anderson at Jasper’s House in October 1835, John McIntosh was thirty-five and had a very good opinion of himself. He was senior clerk, had worked for the HBC for fourteen years, and was the son of a man who was now a Chief Factor in the Company. Certainly, McIntosh appeared to consider himself more important than anyone else in the Leather Pass party to New Caledonia. Anderson’s party had reached Jasper’s House a full ten days before the incoming York Factory Express arrived (When you read my York Factory Express book you will understand why James Douglas’s incoming boats were so delayed). 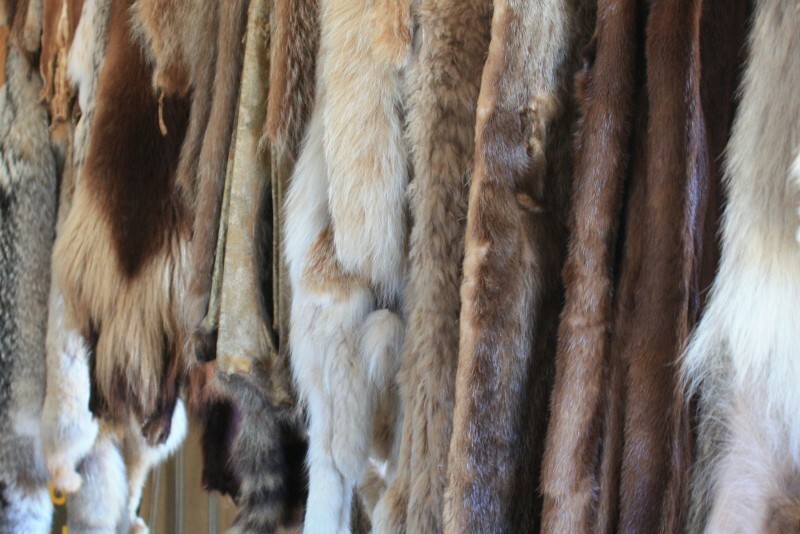 Anderson picked up the sixty packs of leather he was sent to retrieve, and the five adult passengers, along with McIntosh’s wife and children. All these people were to go into New Caledonia that year. Eleven days later, the heavily laden party reached the banks of the Fraser River, but they were already short of provisions. It was October. They clambered into their canoes and began the downriver journey, and the horses returned to Jasper’s House. But Winter came early, with snow and freezing temperatures. Anderson’s canoes were frozen into the ice of the Fraser somewhere in the immediate area of modern-day McBride, B.C. The party was in serious straits, almost out of food and hundreds of miles from any New Caledonia post that existed at that time. The men promptly slaughtered the horse, and its meat fed them a few more days. A few days later they shot a caribou. They at length reached Jasper’s House, two weeks after turning back. As there were no provisions to spare at that tiny post, they continued their foot journey east toward Fort Assiniboine and Edmonton House, walking on the ice of the frozen Athabasca River. McIntosh’s family made it to Fort Assiniboine and remained there, but Anderson and his new friend, Archibald McKinlay, walked across the Athabasca Portage to Edmonton House. Obviously the Fort Alexandria clerk was the only man present who had not heard of the atrocity. At that time McIntosh was still at the Chilcotin Post, west of Fort Alexandria. Later he was posted to the McLeod Lake Post, where, in July 1844, he was “shot to death by a Sickanie Indian.” His body was never recovered, and sank beneath the waters of the lake. The HBC men in the area suspected that his death was in retribution for his role in the murder of eight Assiniboine men ten years earlier. John McIntosh’s wife and children passed through Fort Alexandria, on their way to Fort Vancouver. Some of the older boys joined the fur trade at Fort Vancouver and served in the Columbia district. The mother settled in the Willamette Valley with her younger boys, including Donald. When he was grown up, Donald McIntosh joined the U.S. Cavalry and served on frontier duty. In 1876, Donald was part of the first assault when General George Armstrong Custer recklessly led the Seventh Cavalry into the Battle of Little Big Horn, against Chief Sitting Bull and his thousands of native warriors. Lieutenant Donald McIntosh rode in the first charge, and went down when his horse was killed by an arrow in the head. He grabbed a stray cavalry horse but was wrestled from the saddle and clubbed to death by the Natives. Fifteen Canadians were in Custer’s Army, but McIntosh was the first of them to fall. Lieutenant Donald McIntosh ‘s story is also told in the Beaver Magazine, Summer 1976, “Custer and the Canadian Connections,” by C. Frank Turner.